The Board of Governors is delighted to announce that Sue Baillie has been appointed Head of Queen Margaret’s, York. Sue began her twenty-seven year teaching career in the North at Barnard Castle School and has had an affinity with the region ever since. For the last seven years Sue has been Pastoral Director at Newcastle Royal Grammar School, previously she was Second Deputy Head at Kimbolton School. 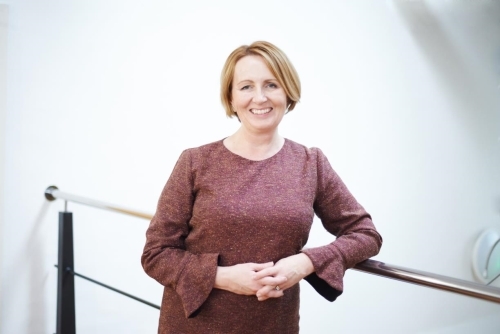 As a Head of History and Politics in selective day and boarding schools, with senior leadership experience in all girls’ schools and in boarding, Sue brings a wealth of experience to lead QM. Married to a Yorkshireman, Ian, Sue has an eight-year-old daughter, Louise, plus a cockapoo called Monty, an elderly cat called Polly and six hens. She enjoys walking and endeavours to keep fit through running 5 km in under 30 minutes. A keen cook, Sue has competed in regional and local competitions; she considers her greatest victory to be winning her local village cheese scone championship. As a historian and educator, the prospect of living and working with girls and staff in the beautiful environs of Escrick Park feels particularly special and in keeping with her belief that contemporary girls’ education is one with a modern outlook based on traditional values. Sue Baillie will join QM from September 2019, and will be present in School to get to know the QM Family in the interim. Jessica Miles leaves QM at Easter and Senior Deputy Head Lars Fox will be Acting Head for the Summer Term.